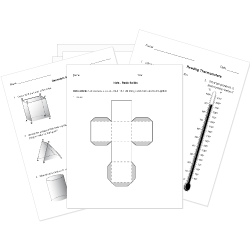 You can create printable tests and worksheets from these Grade 2 Basic Measurement Concepts questions! Select one or more questions using the checkboxes above each question. Then click the add selected questions to a test button before moving to another page. Which of the following is about 26 cm long? Which is the best estimate for the length of a pencil? A building is 60 meters tall. A tree near the building is 12 meters tall. How much taller is the building than the tree? Which tool could I use to measure length? A beaver is 15 inches long. It grows 23 more inches. How long is the beaver now? A whale is 78 feet long. A rhinoceros is 13 feet long. What is the difference in length between the whale and the rhinoceros? What unit of measurement would you use to measure the length of a grasshopper? 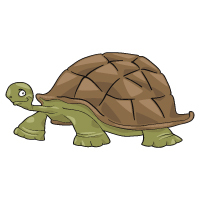 What is the measure of the turtle in inches? Robert wants to make a cake. What would be the best tool to measure flour? About how high is a door? Which tool should I use to measure the length of a paperclip? An inch ruler should be used to measure a football field. The metric unit numbered on this ruler is inches. About how much longer is the bottom pencil than the top pencil? A yardstick is feet long. Which tool should you use to measure the length of the pencil? The length of the pencil is shown in inches. Which is true if you measured the pencil in centimeters? The pencil would be 4 centimeters long. The pencil would be less than 4 centimeters long. The pencil would be more than 4 centimeters long. 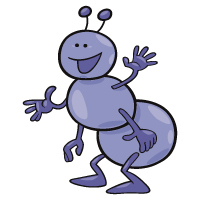 Maggie wants to measure the length of an ant. Which tool should Maggie use? About how many centimeters long is the pencil?